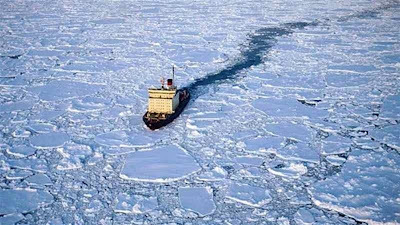 When your former prime minister goes public and declares that the government should buy a new icebreaker, then you're not talking about Britain – yet. This is former prime minister and industrialist Tiit Vähi, who comes from Estonia. He believes that the state should urgently order a new icebreaker, "Instead of spending money on buying icebreaking services." 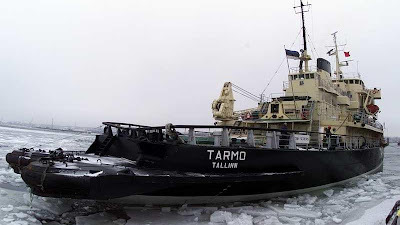 At the moment, Estonia has two icebreakers, the Tarmo (pictured below) and Zeus, but "difficult ice conditions" in the Gulf of Finland are forcing the Maritime Administration to look for a third. The Gulf of Finland is covered by thick ice from the Estonian mainland to Osmussaar, making it possible for only large ships to reach Muuga Harbour. 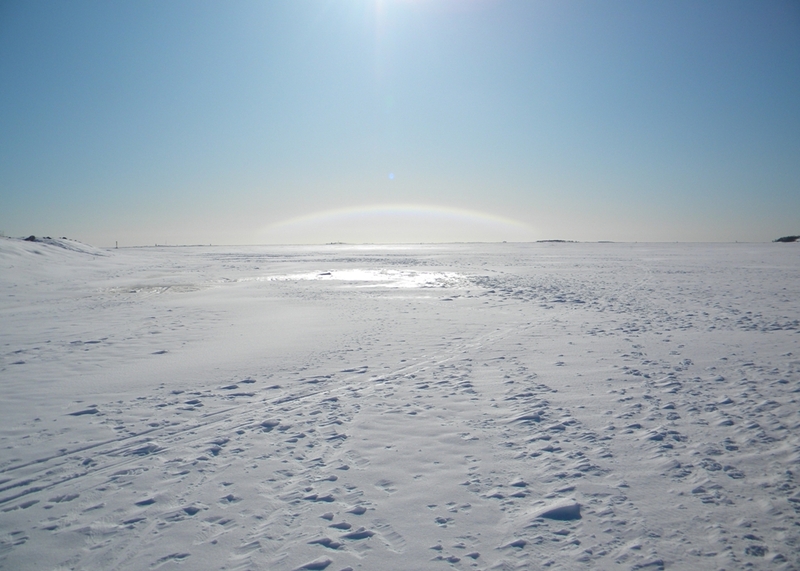 Recently, eight vessels were icebound near Kunda and Sillamäe. The situation has been no different on the Gulf of Riga, where the port authority is working its icebreaker Varma non-stop, and still needs help. Chaotic conditions have been reported. The Baltic is no stranger to freezing conditions, but recently the ice has expanded into the central part of the sea, and in some regions there is simply not enough icebreaking capacity. Already, the Estonian government has had to allocate €3 million extra for icebreaking, and since 14 February, its two icebreakers, have been working in the vicinity of the northern Estonian ports, yet as the ice conditions are getting more complicated. The need for reinforcements is inevitable, the Administration says. Very recently, it was reported that, following another extended stretch of sub-zero temperatures, ice coverage on the Baltic Sea was greater than it had been for nearly a quarter century. About 100,000 square miles were covered. The last time so much had frozen was the winter of 1986-87, when ice covered nearly 150,000 square miles. The problem is being seen as ongoing, and long term-investment is considered necessary to resolve it. In the short-term, the ice is expected to freeze over even more than 1987. But, what is so much fun here is that EU funded researchers, with €22 million of research grants, are claiming that the sea is threatened by "climate change". Professor Aarno Kotilainen at the Geological Survey of Finland says: "Some estimates suggest that climate change in the Baltic Sea area causes sea surface temperatures to rise, increases winds and shortens the ice-cover season". Perhaps he should be looking out the window a little more often. Certainly, Estonia economics minister Juhan Parts thinks a new icebreaker is needed. He says the situation is quite worrying. Severe ice conditions are expected to last another three to four weeks and there is only one reserve vessel available for emergencies. Arrangements to use it depend on the needs of Finland and Sweden. That makes spending the €22 million on climate change research a real shame. It would have been a useful down-payment on that new icebreaker. But then it is only the meteorologists who are warning that ice coverage on the Baltic could expand further in the coming days, possibly setting a new record. What do they know? The proper, EU scientists are working from computer models, and they beat real evidence any day. There is no ice ... move along please.